Thanks to Contemporist reader Mark for telling us about these chairs that are designed by Karsten Eriksen and produced by C-Frisk. The first chair is the the T-Hanging Chair, it’s made with a series of linear tubes so that it’s flexible and comfortable. 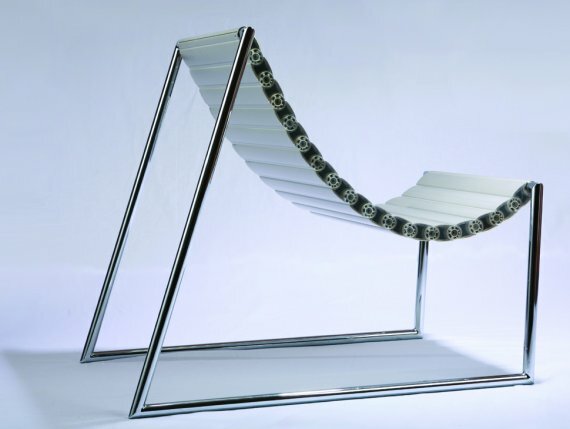 The second is the T-Low Chair, it’s a ‘closed construction’ chair made from aluminium tube elements.